James Bond is Great in Books and Movies. Why is He So Mediocre in Video Games? In case you’ve missed the articles, ignored the advertisements, blew past the billboards, and snoozed during the tributes, this year marks the fiftieth anniversary of James Bond’s first saunter onto the silver screen. To celebrate her majesty’s finest, both a new film (the 23rd in the series) and a new video game (the 25th) are being released this week. 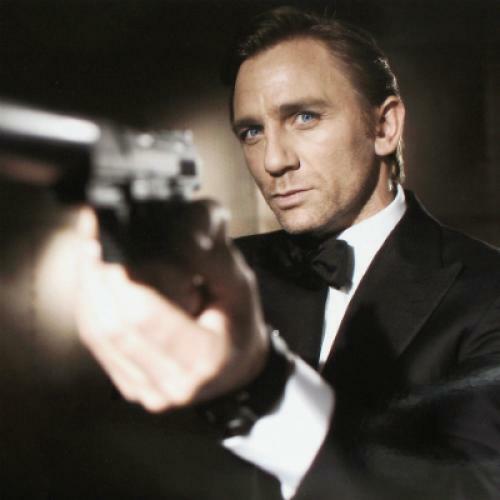 Chances are, you’ve heard about the movie, Skyfall, which will star Daniel Craig as the martini-sipping super spy. But even the most ardent video game nerds could be excused for paying no mind to the game, 007 Legends. This is no exception: While growing ever more popular as one of cinema’s most beloved icons, Bond’s attempts to conquer video games have almost always ended in a decidedly un-Bond-like fashion, with the hero derided, discarded, and dispatched to the remainder bin. This may seem surprising. A series so dense with high-tech toys and action sequences, one would think, would lose little in translation from celluloid to pixels, particularly as the movies are organized around Bond’s advances from one exotically staged set piece to another--a structure that has more than a little in common with the way video games progress from one level to the next. But Bond’s real charms have always lain elsewhere. Watch him closely, and you’ll see that what makes 007 so appealing is not his capacity for driving fast and punching hard and shooting straight, but the opposite. We admire Bond because he’s the action hero who knows how to take a break from the action and insist that his drink be made just so. When he remarks, in the very first of the Bond books, Casino Royale, that “the trouble always is not how to get enough caviar, but how to get enough toast with it,” we realize that we’re in the company of a gentleman who knows how to live and is therefore worth watching. It’s the spy’s grace that we best remember and most revere; his inexhaustible physical prowess is almost entirely negligible. Our man may leap out of planes and pop into submarines, but he’s never more attractive than when he’s at rest. This tension between action and inaction, of course, is the engine that drives most works of art. Music defines itself with silence in mind, and the movies require moments of quiet contemplation. Video games, however, are the exception to this rule. They never stop or rest. They can’t. Once the game’s controller is firmly in our hands, it’s perpetual motion we expect, which means that video game James Bond can never have the leisure to fret about his gin or seduce some improbably named woman. He’s too busy running or jumping or squeezing the trigger, activities that are, at core, banal. Plain action hardly requires a man of Bond’s sophistication and savage joy. If we expect these virtues -- and with Bond we always do -- we’re in for disappointment. Various Bond games have tried to solve this conundrum in different and creative ways. The very first, for example, 1983’s James Bond 007, came up with an ingenious workaround: rather than degrade Bond by making him boring, they turned him into a car. Players controlled what was billed as the spy’s souped-up vehicle, which meant that any hopes of witty banter and cultivated style were checked at the automobile’s door. Three years later, the makers of Goldfinger went even further, eschewing most of the new medium’s inherent capabilities and opting instead for a rudimentary text-based adventure game; with entire paragraphs at his disposal, Bond could again take the time to seduce his fans. Successive games that tried for a more interactive, more personable, more animated Bond almost always failed. Save, of course, for GoldenEye. To the generation of gamers who came of age in the late 1990s, this, very likely, is the seminal video game of their era. And rightly so: its creators, nearly all of whom had no prior experience in game design, managed to generate the sort of innovation that only absolute beginners seeing the medium afresh can pull off, and they did it mostly by following cinema’s cue and looking for a few moments of silence. GoldenEye, for example, became one of the first games to integrate stealth play, which meant that players had to creep up on enemies rather than shoot blindly and loudly. It was also one of the earliest titles to feature a zoom-enabled sniper rifle, allowing players a few seconds of respite as they contemplated their opponents through the crosshairs. And, most importantly, the game broke each level down to several distinct objectives, encouraging a more complex mode of spatial exploration than the linear thrust of the traditional first-person-shooter. All of these were momentous achievements, and they propelled GoldenEye, despite an initial lukewarm reception, to great heights—the game sold a quarter of a billion dollars’ worth of copies and became the third biggest hit for the Nintendo 64 gaming console, after Super Mario 64 and Mario Kart 64. But its innovations soon became industry standards, and the Bond game series was once again straddled with its same old problems. It has never recovered. The new game title won’t save it: one of the worst Bond games in years, it offends in all the aforementioned ways, consisting of little but choppy action sequences peppered with a few lines of dialogue from the original Bond movies, poorly reproduced. Bond’s failure, however, isn’t only his own. Big movies have collapsed when turned into games since 1982, when Atari inaugurated the trend with is spectacularly catastrophic adaptation of E.T. Nor is it easier to turn video games into films: Remember Bob Hoskins as Mario? Scott Wolf as Double Dragon’s Billy Lee? I hope you don’t. With all of their mutual desire, then, movies and games are likely to remain star-crossed lovers. The latter will continue to give us men like James Bond, master practitioners of combat and leisure alike, while the former will produce more dour dudes like the Master Chief, the hollow and faceless protagonist of the popular Halo franchise who can do nothing but kill. With a little luck, never again the twain shall meet.